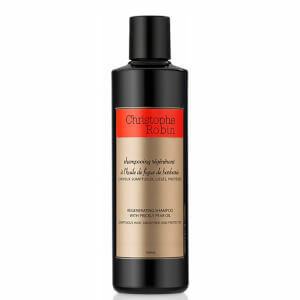 Perfect for very dry and damaged hair, the Christophe Robin Regenerating Mask with Rare Prickly Pear Seed Oil restores and revitalises your locks from root to tip. Enriched with pure prickly pear seed oil, it has antioxidant and regenerative properties, penetrating deep into the hair to repair it from within. Not only does it repair and protect the lengths of your hair, it also stimulates your scalp and protects your hair from split ends and further breakages. Suitable for coloured hair, the mask contains Inula flower extract which restores the pigments of both natural and dyed locks, leaving it looking vibrant, healthy and full of vitality. Receive a FREE Erno Laszlo Hydra-Therapy Skin Vitality Mask 37ml when you spend £75. Complimentary gift will be awarded at the basket. Offer valid for a limited time only, while stocks last. Good for damaged hair, and smells pleasant. Love this product!! A good repair mask but.. This is my third purchase for this product. My hair is a bit dry and frizzy, i've tried many products but none of them could really help until this one. 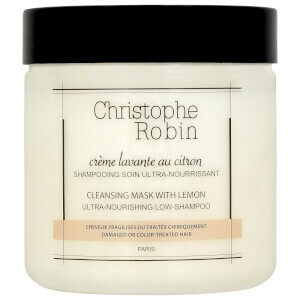 While it works well to make my hair smoother and more shiny, it is easy to wash off and keeps my hair light. I can really tell the difference especially when i am drying my hair, it does not tangle and easy to comb from the top to the end. Will continue using this product! Just finished my second bottle! Soooo good and I even use it as a hair conditioner too! It is expensive but doesn't work well for me, I don't like it. This is a good conditioner which leaves my hair feeling soft and shiny, however I do think it is overpriced for what it does. I have used many cheaper conditioners that do the same job. I am also not overly keen on the smell, rather like that old fashioned perfume Vanderbilt! I love what this did to my damaged hair. It was so soft and easy to comb through, Alltough this doesn't justify the price for it .Yikes. I had very high expectations for this product. It's priced at a premium level but really it's no better than any of the other treatments that are cheaper like Aveda, Sebastian, Pureoligy etc. I have long and thick Asian hair, and this is by far the best products I have tried in many years. I have lots of different brand including Keratase, Morocan Oil, Redken,Pureology and many more. This is the best hair mask and long lasting, although it takes time to rebuild whose hair is very damage as it is not a miracle. Before you apply this hair mask, you must towel dry the hair first, so that the hair can absorb the mask fully. I would recommend an intensive treatment if your hair is severely damage. The smell of this hair mask is gorgeous and long lasting. After I used the very first time, my hair is shinny and smooth and it is recognisable by others! This is my fourth repurchase and I will only use this hair mask!! This is a nice conditioner that detangles hair, but I have to be honest it doesn't live up to the hype for me. Ive used much more effective products (believe me I've used LOTS) for half the price. It's not even as if it smells particularly good either. An average conditioner in posh packaging!